He could have been daddy’s boy. 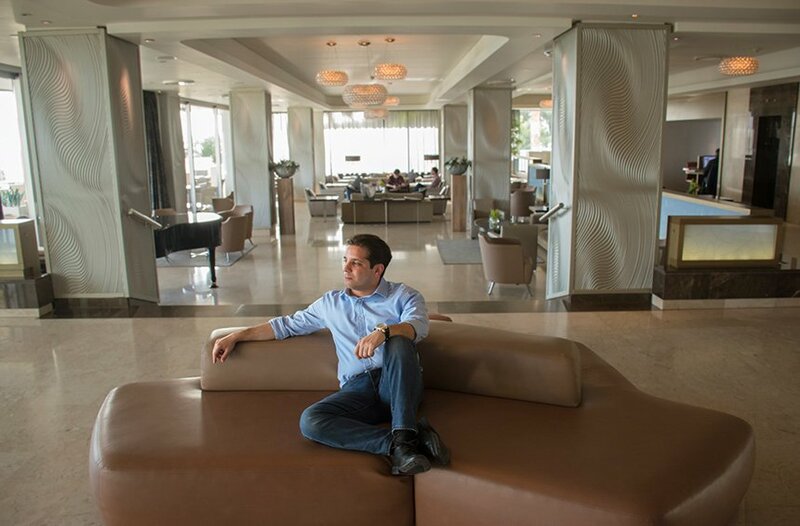 At 28, Andreas Spyrou was fortunate enough to follow the footsteps of one of Limassol’s well-known businessmen, Spyros Spyrou, and, having finished his studies, he knew that he could count on the security of an office of his own in the family business. Things turned out to be quite different, though. 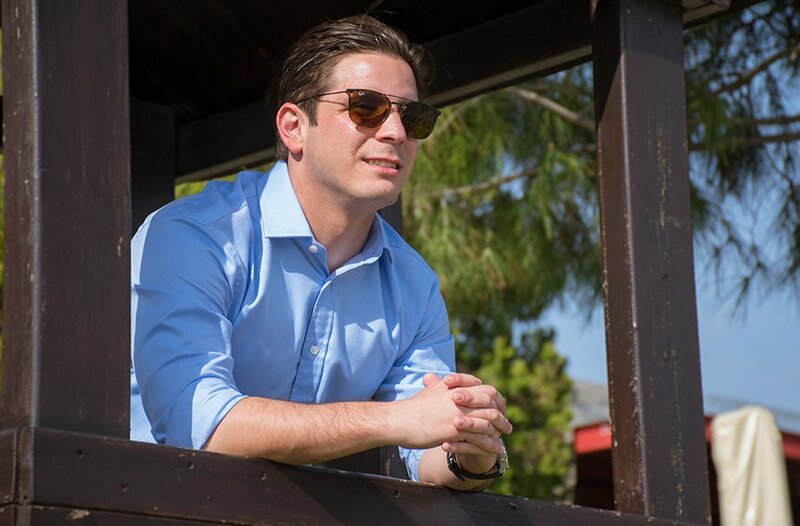 Andreas is now the one who, along with a small group of young people, with a lot of passion, creativity and enthusiasm, are striving to make the largest sports event of Cyprus, Limassol Marathon, grow further more. This, however, entails an unstoppable and year-long effort, in a field unexplored for Cyprus, which keeps him at work up to 7 days a week, up to 12+ hours in the day. 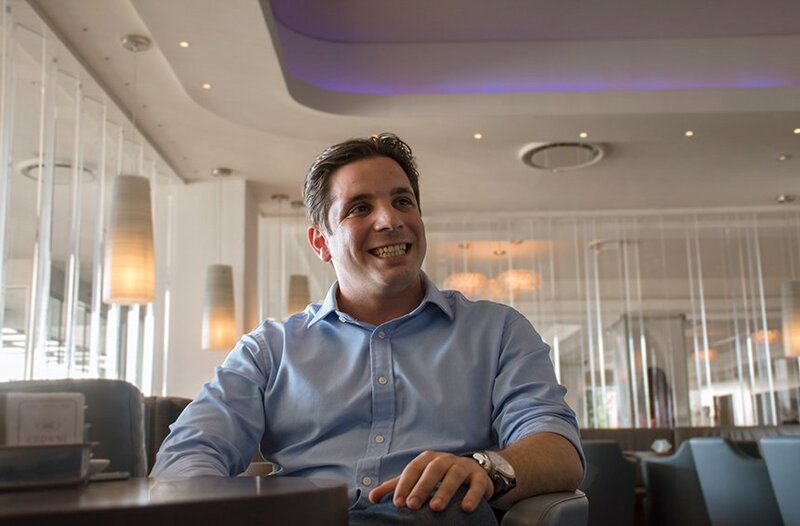 When you meet him, you realize that Andreas – always with a smile – is as simple and natural as any other at his age, in a way that you wouldn’t expect from someone who has taken a position like this one, before he even reaches 30. 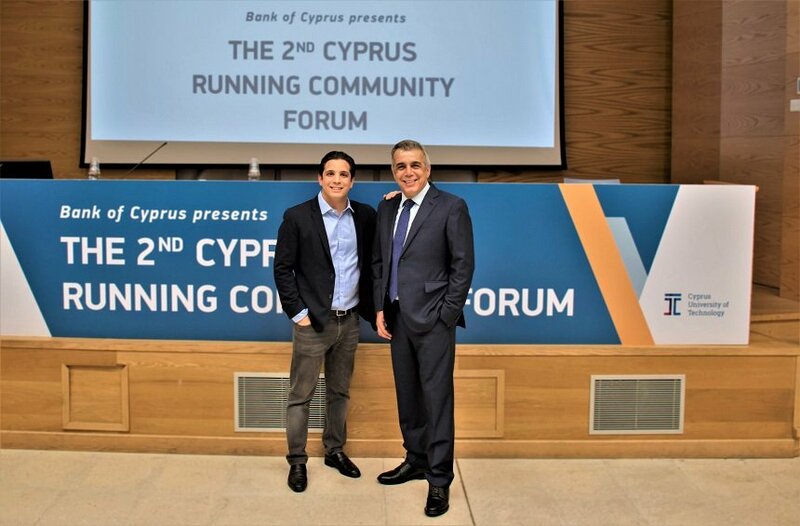 He undertook, of course, and a big responsibility along with this position: not only to carry out, but also to make the Marathon organization bigger, in such a way that Limassol can benefit more. The fact that he continues to keep a balance, to step on the ground, to speak with youthful enthusiasm and maturity about the Marathon vision, might be as well an argument for his own generation of Limassolians. After spending 4 fulfilling years at Essex and London as a student, travelling a lot on both shores of the Atlantic, he returned full of new ideas and fresh images, with experiences from great festivals and impressive events of hundreds of thousands of people. Inevitably, the Marathon turned out to be an opportunity, a challenge that would allow him not to rest easy, which would force him to make all this material worthwhile. Thus, he understood very early that he didn’t just undertake one of the family business projects, but he agreed to make a personal bet on behalf of the entire city. Besides, based on the same reasoning, his own father, Spyros, undertook this event, when he saw for the first time in 2011 an institution that could mark Limassol as a destination for recreation, as well as for exercise, for the entire family. 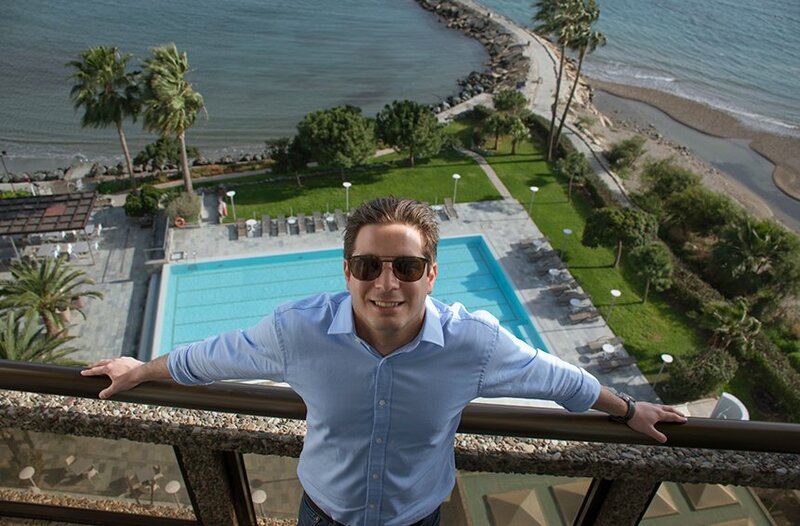 So, these past 3 years, Andreas is one of the few 28-year-olds, who sleep at night knowing that the entire Limassol (and Cyprus) is watching and judging what they do in the city. 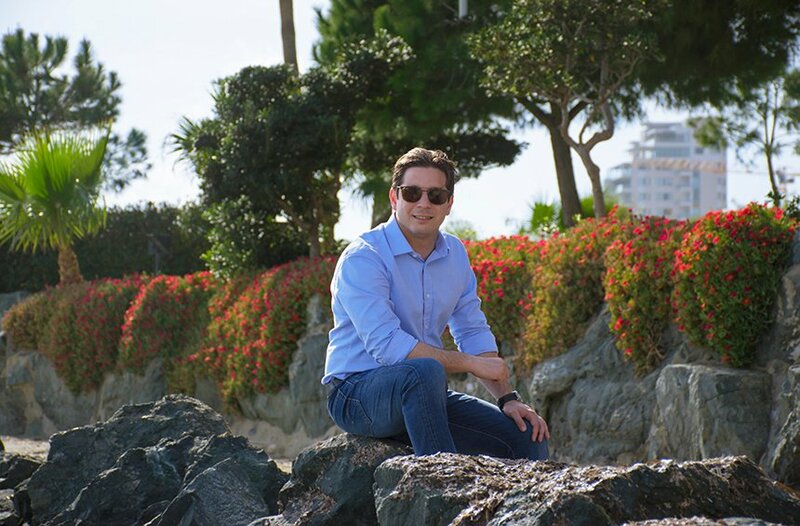 Born and raised in Limassol, a man who deeply loves his city, Andreas dares to demand more and innovative things for it, seeing how much it can and needs to change, from the traffic in the streets to the Wine Festival. Did you have in mind that you would take this role coming back from your studies? I had in mind that I would be involved in conference planning and event management in the family business. But it never crossed my mind that we would be in the process of running the Marathon the way we do it now, to build a team and come this far, or that we would be dealing for an entire year with its preparation. Do you cooperate with hotels as well, such as the Crowne Plaza (where the interview took place)? Yes, we had a cooperation last year and the year before, but even this year that we don’t have a specific cooperation, we know that the hotels of the city get considerable traffic thanks to the Marathon. This year we expect around 3,000 people from abroad to run with their friends and families. 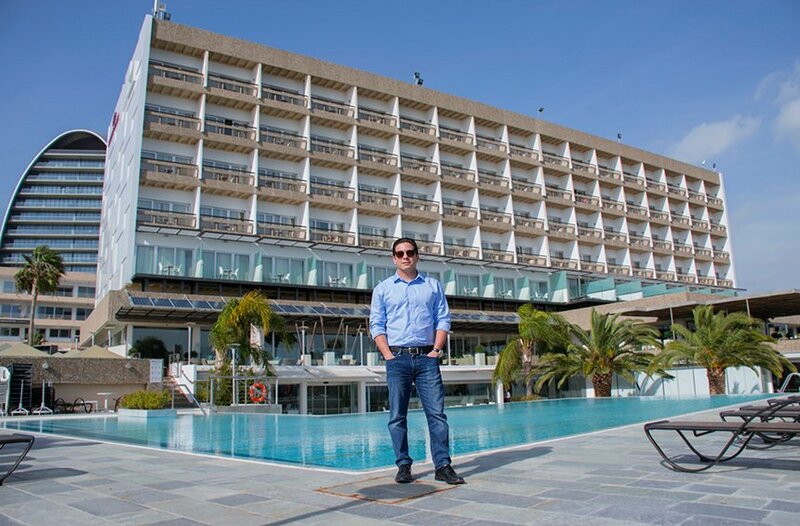 We are at a point where the hotels in Limassol are proving to be insufficient to availability to cover the growing needs of the institution, and that’s good because there seems to be a momentum. 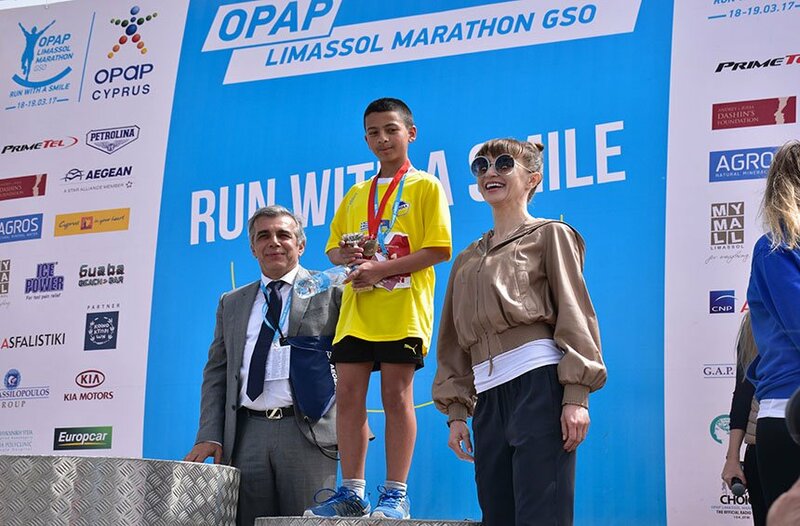 Was this managing position in the Limassol Marathon a “gift” from your dad? Not at all. I could have been dealing with many other things in the company. I took over because there was the belief that this institution could grow through certain movements, as it grew since Spyros Spyrou took over the whole event. When they sent him to attend the race, as a member of the City Council, 7 – 8 years ago, the participants were only around 2.000 (and when it had just started, 12 years ago, when it was organized solely by GSO, it merely had 70 entries). 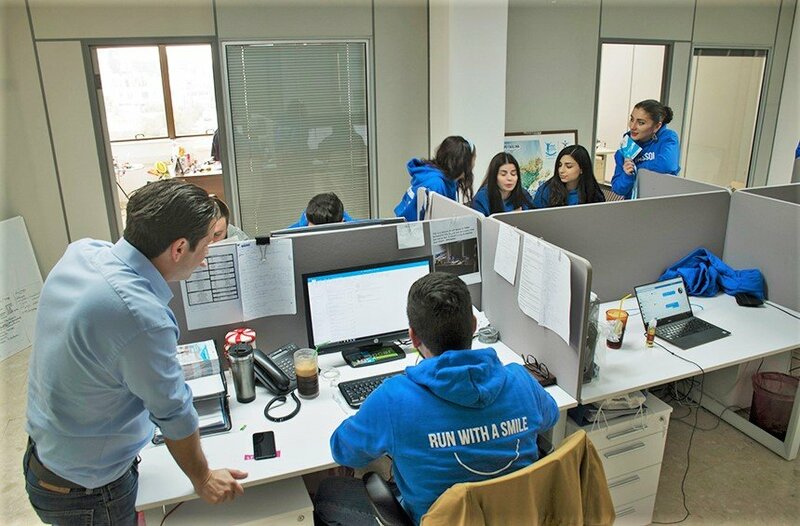 The endless hours at the office are not for sure a piece of cake, but with the average age of the Limassol Marathon team remaining under 30, the atmosphere is definitely lighter. The Marathon in 2016, when I took over, had 7.000 participants, but it grew even more, reaching the 13,000 participants last year. For the company, this event started as a side project, but it has evolved into something we are working for all year-long. We already know now that in April 2019 the 13th Marathon will be held. The company took over the organization upon the recommendation of my father, who saw that there was room for the development of the institution. To let the Marathon, grow, aims to help the city as a whole, as well as Cyprus too, and that was confirmed by its entire course until now. How did you deal this as a teenager back then? Did you realize that it was something big, did you want be involved in it? I couldn’t understand many things. I only knew that it was something my father was spending many hours on and he was often missing from home for this. He is a man who deals with the tourism industry for 40 years now and I knew he wanted to make a big event out of it, for the city. He believed this institution a lot and it is not by chance that this is now a 2-day event with 6 different routes, 4 parallel events and more than 15,000 participants. 2011 was a decisive moment for the Limassol Marathon, since the company of Spyros Spyrou undertook the management of the event. The vision for a large institution and the new potential created through this private initiative, resulted to the multiplied number of participants, both local and international, reaching from 2.000 to 13.000, within a few years. There are Limassolians who love their city too much, who work really hard for something, slowly, with small steps and a lot of love, so that they make it work. 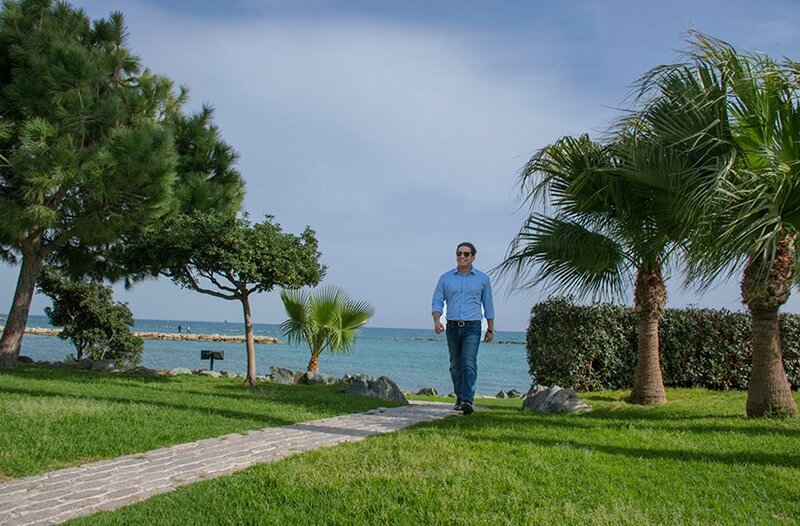 There cannot be such big things from one day to another, but it constantly needs a lot of love and support from everyone: from the private companies (such as the hotels) to the public institutions (such as Limassol Municipality). Could this event grow, if the Limassol Municipality or GSO were the sole organizers? Cooperation with private initiative is needed. In such cases, a private initiative will bring expertise, new ideas, it will bring together other supporters from the private sector. It wouldn’t be possible for the Municipality to effectively share the vision of a Marathon that everyone in Limassol would care about embrace, hotels or other private businesses. It doesn’t have to do with the skills of the people who work in the Municipality, rather than with the fact that there is not the necessary "chemistry" in the communication of a public body with the private companies. Of course, the Limassol Municipality has already helped a lot. With Nikos Nikolaidis, the cooperation has just recently started and evolves extremely well, but also when Andreas Christou was the Mayor, a lot and important things have happened for Marathon, because he was a man who shared this vision for a great institution. 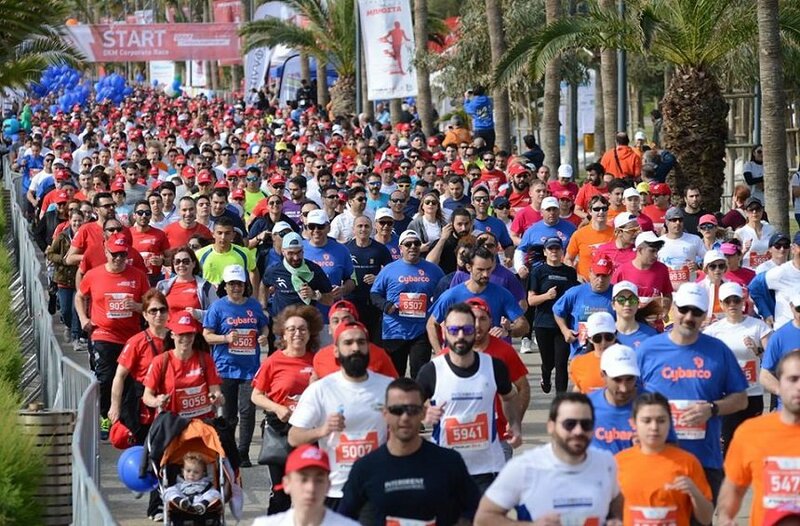 Thus, it is clear that the private initiative without the support of the Municipality, couldn’t have succeeded, as it has achieved so far for the Limassol Marathon. 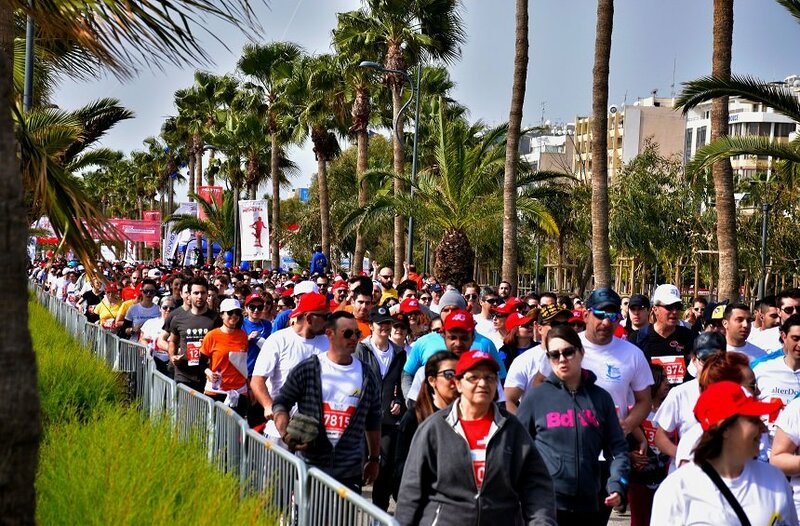 The Crowne Plaza Limassol, the nearest seafront hotel to the city centre, is among the businesses that have supported the institution of Marathon over time, while it notices a significant number of visitors during the event period. 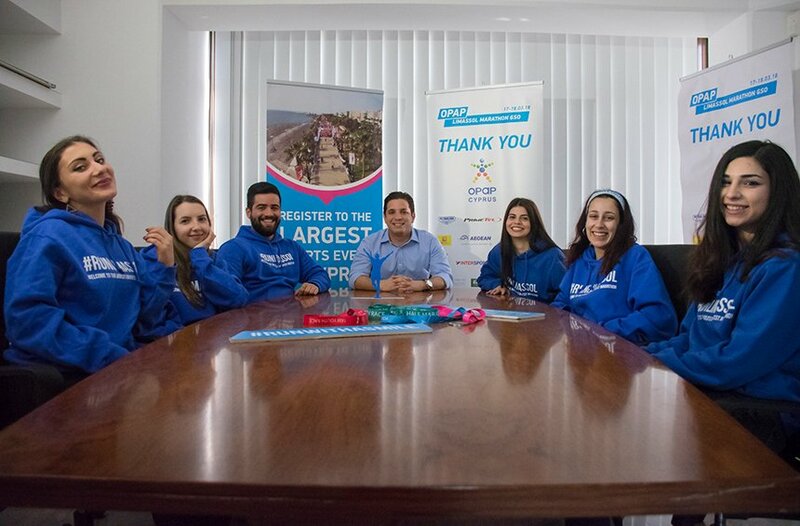 Now, for example, after all the growth this institution has experienced, there is a need for all the bodies to open up and underline once again that the Limassol Marathon is the Marathon of Cyprus, taking place in the city. 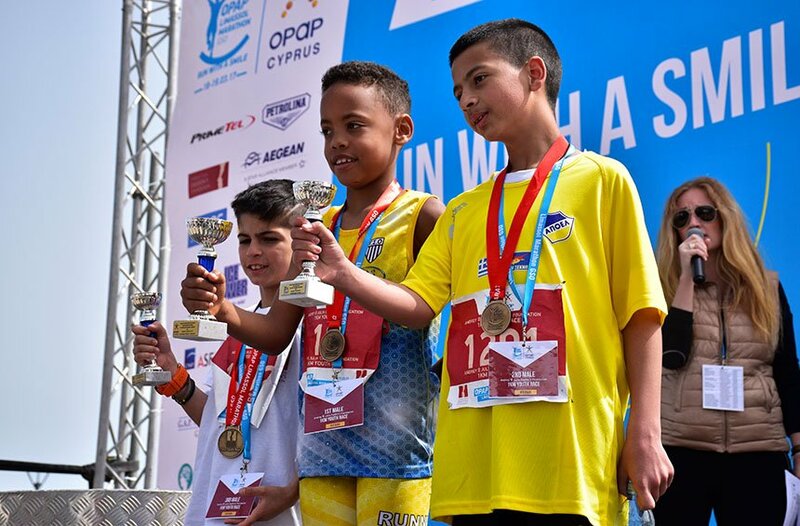 Just like the Limassol Carnival is promoted as the great Carnival event of Cyprus, the Marathon should be the great sports event in the country. This is a necessary step, in order for the Marathon to reach even higher. Besides, it’s the Official Marathon of Cyprus. What does the “Official Marathon of Cyprus” mean? 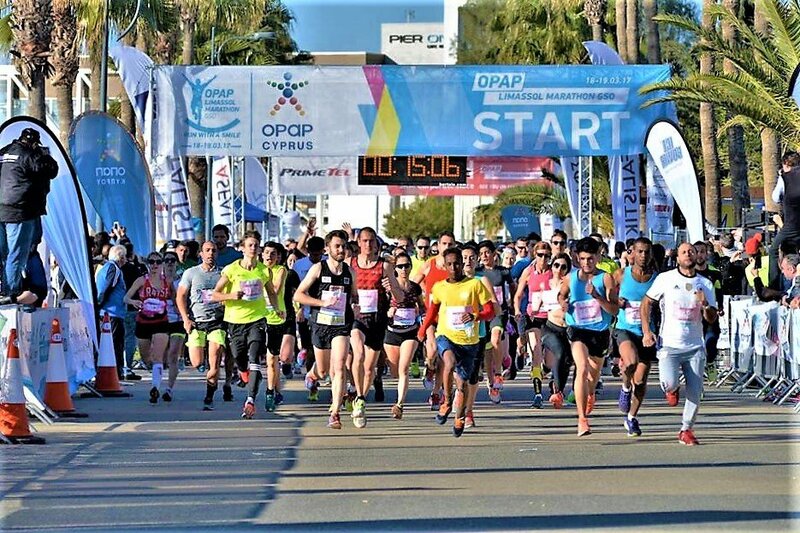 The Limassol Marathon route hosts the Cyprus Marathon Championship of Cyprus. GSO has ensured the right from the Cyprus Federation to host this Championship. Among the 800 people who will run the 42-km route, there are 70 athletes competing for the title of the Cyprus Champion. We are proud that the Official Marathon of Cyprus is the Limassol Marathon. 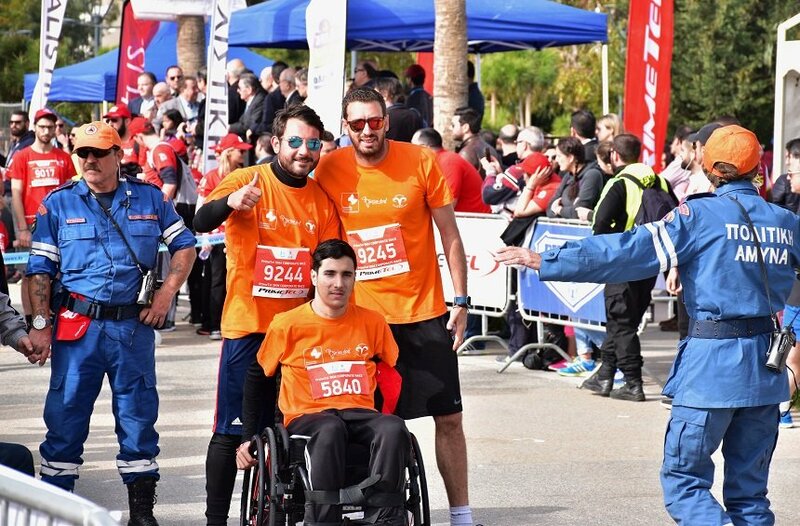 Apart from this, however, Limassol Marathon is the sports event with the most participants, the most volunteers and with the most parallel events, across Cyprus. From only this alone, the organization gains in importance. 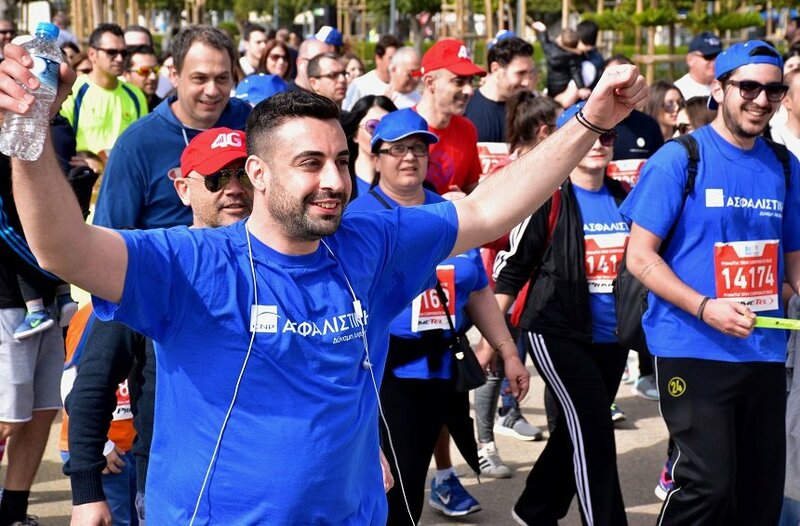 Does the organization of Limassol Marathon bring a lot of profit to the company? For now, it’s a project we invest without any income. Last year we managed to break even. The cost is big and we make a lot of effort to make this project sustainable, with a perspective of growth in Limassol. In order to be able to develop continuously, to offer more to the runners who participate, but to the city as well, it must have revenues. That’s why we all work and, of course, in a team that works all the year for this purpose, nobody works for free, it’s not a hobby. How many people consist the Limassol Marathon team now? There are 9 people in total, all of them young, because I think this is important if you want to have new ideas, passion for new things and excitement. The members of the team are 23 - 33 years old, because as you get older, the way you think gets old too, something that will certainly happen to me in the future, as well. The team needs to get bigger, though. Marathons abroad are set up by teams of 30 – 40 people, but we still don’t have the budget for something like this. What does it offer something to the city, so that we would want the Marathon to grow? First of all, it helps tourist industry, many people get to know Limassol through the Marathon. The runners will come with their friends and families and the good experience, traveling from mouth to mouth, is the best promotion. All the businesses in Limassol can benefit from this. 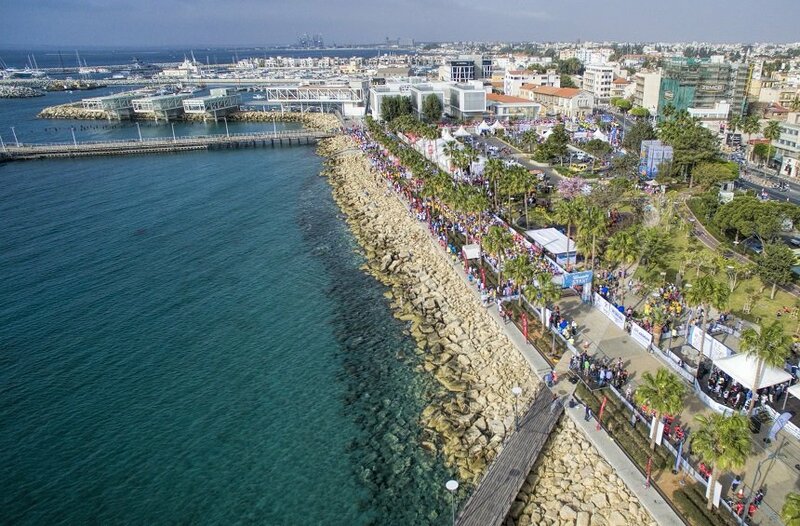 Why did the Limassol Marathon became a 2-day event? In 2016 we had 10,000 people at Molos. It was a matter of security anymore, to split this great amount of people and to decongest the area. On the other hand, we wanted to raise the quality for those who run the racing track and try to make a good time. For example, it was awkward for them to run next to those who were walking the 5-kilometer road. The lengthy coastline, the flat terrain, the mild weather and the ideal temperature for running are among the most important advantages of Limassol and its Marathon. "As a young Limassolian, I'm disappointed with the entertainment in Limassol"
Apart from the Carnival that you already mentioned, which do you consider Limassol’s big events? A great one, in terms of the number of attendees, is also the Wine Festival. Personally, I’m not really satisfied with it. It has an image that hasn’t changed for decades now. At least, for these last 20 to 25 years I haven’t seen any attempt for its upgrade. Abroad I have seen other Wine Festivals, much smaller and much more neat, where people were learning things about the flavors and the traditions of wine. Considering that the Marathon is constantly upgrading, while we don’t have a running tradition, whereas the Wine Festival, with so many centuries of tradition, remains unchanged, it means that something is wrong. The Carnival could be better, too, because the its character is also fainting. It could be reorganized so that traditional elements, such as the serenaders, can be showcased in a better way, but it should also have the freedom for more initiatives to take place. Do you participate in the Carnival? The last 3 years I participated in the parade, yes. This year we also organized a party for the Carnival. I do experience the whole institution, but I would like to see it embraced by the entire city, with private initiatives that will showcase it as a big festival. 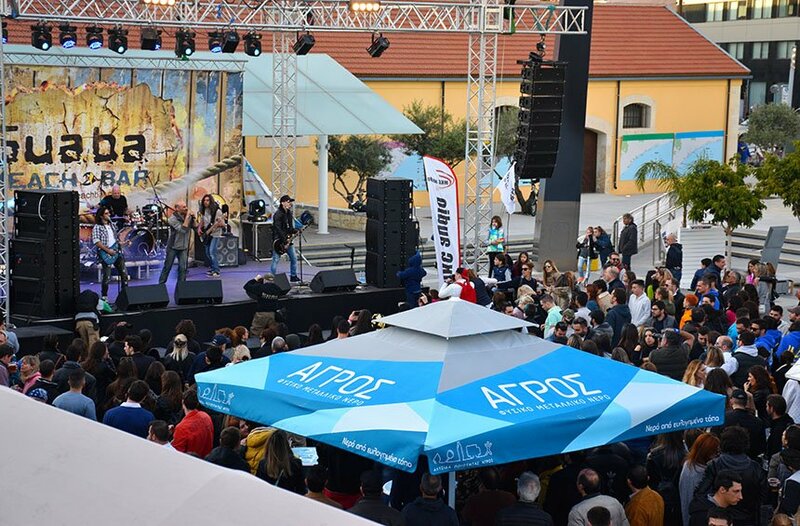 For example, we set up a Carnival party this year, using the venue of Theatro Ena at the Old Town and it had a great success, but some people reacted because we used that place. Why not? Let’s have new things happening and make the institution grow, instead of leaving it unchanged, like the Wine Festival. “There are Limassolians who love their city a lot, who work really hard for something, slowly, with small steps and a lot of love so that they can make it work”. How could Carnival grow as an institution? Lots of great things are already being done, but there is still much more possibility. Although there are dances held at the Castle Square, for example, these events could be upgraded through the cooperation with private initiatives. The expertise of professionals who specialize in event planning, could renew the image of the Carnival and attract even more people. The Municipality does a great job with creating concepts and ideas. From that point on, it might be helpful to outsource specialists, through a bidding process, to implement these ideas. Do you like the parties that are being held at the Old Port lately? I haven’t been to one, so I don’t know how they are exactly, but it seems good as an idea, yes. People have embraced it, it's something different. Do you think that Limassol really deserves the title of the city of entertainment? Compared to other cities in Cyprus, 100%! But we don’t want just to be "the best in the village". Personally, as a young Limassolian, I’m disappointed with the entertainment and the nightlife, because it’s one-dimensional. I don’t want to unjust my place – this is certainly because we are in a small city and country. Although he states his dissatisfaction with the entertainment that Limassol offers today, Andreas is certain that this image will change over the next years. You seem to know much about entertainment. Have you dealt with this, did you study something relevant? No, not at all. I studied law and economics. But at the time I was studying in the UK, I discovered the electronic music scene and the way people have fun abroad, with big parties and festivals. I travelled a lot, from USA and Mexico to Germany, Netherlands and Spain, I attended different festivals and I got a lot of ideas, some of which have been inserted in Marathon too. On this we had the great support of the Guaba Beach Bar team, which for several years now has undertaken the closing party of the event. The main reason was nor the music, nor the girls, of course (in some cases, like Mexico, for example, the girls were really out of control, they were dancing madly in a way that you couldn’t even talk to them, let alone flirting). The main reason I like festivals is the feeling of the party, its vibe, the fact that everyone is relaxed and they have fun as one large group of friends. So, would you like to see such festivals in Limassol too? Numbers speak from their own. At the Dance Event in Amsterdam, 300,000 tourists are gathered. At the Sonar Festival in Barcelona, ​​other 180,000 tourists go in 5 days. Many great festivals in European countries such as Tomorrowland in Belgium, Glastonbury in England, Primavera in Spain, have significant benefits for tourism and the local economy, have attracted many talents, raised the branding of the cities, brought new ideas and perceptions, and all these are what Limassol wants. Even in our neighbouring countries like Lebanon, which may have different problems, people are more open to new things and ideas, as far as I know, while we are not so much. “Marathon contributes to the tourism and the economy of the city. The runners will come with their friends and families and the good experience, from mouth to mouth, is the best advertising”. Why do you think we are not open to new things? I also wonder about this, I'm not sure. Who will try something new, who will risk, how many will react and how ready is someone to stand up to these reactions and move on with their plan? Are you talking just about festivals with electronic music or festivals in general? No, it could be a food festival with traditional products. For example, Oktoberfest in Germany is a beer festival with traditional, German sausages and shank, so well-structured that thousands of people from all over the world arrive there to try them. Perhaps the ones in charge for the organization might not want to take the responsibility for the people’s outcry for such a possible development, so the institution stays the same. But if one could withstand the pressure, and the changes had a positive impact for an event, such as the Wine Festival, attendees could quadruple, and then who would object to this development? Are people in Limassol regressive, for criticizing the new efforts? It's a heavy word, so I wouldn’t say this exactly. People will initially react in a negative way to new things, but in the long run, they respond to change. I think there is a lot of nostalgia. We can see that in the case of the Marathon too, with some people reacting to the cost of participation that reaches €30 for the 10-kilometer race (although many innovations have already been introduced to the institution, with a personal package for each participant, with an application for the organization etc.) because they were once running with €5. Perhaps there is envy as well, because the organizer is a private company, which makes money from this? I don’t think is that so much the case, as the fact that anyone thinks that they can do your job better than you. Neither do they know, nor do they all appreciate the work that one does in their sector. 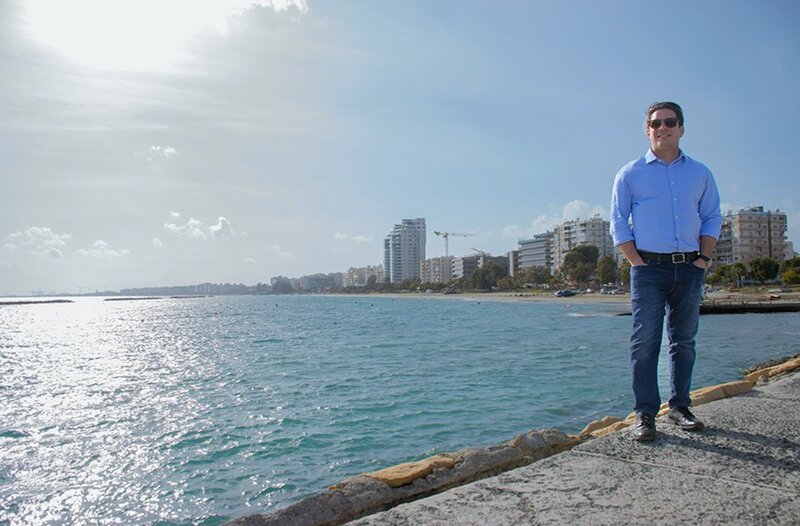 It would be as if I was saying that I can do the Official Guide of Limassol and create thousands of new articles and tributes every year, extraordinary, professional video and photos, just like All About Limassol does. So, is there room for new suggestions and initiatives in Limassol? Yes, there is, but the one who comes up with new ideas, especially the younger people coming from abroad with studies and experiences, must resist as long as they can to the conforming with the status quo in their city. Limassolians are like this in general and there are things that have been done that came out from private initiatives, such was the case with the Limassol Branding. Spyros Spyrou, father of Andreas, was one of the pioneers pushing for the branding of Limassol, who managed to pass his passion for this effort to his son as well. 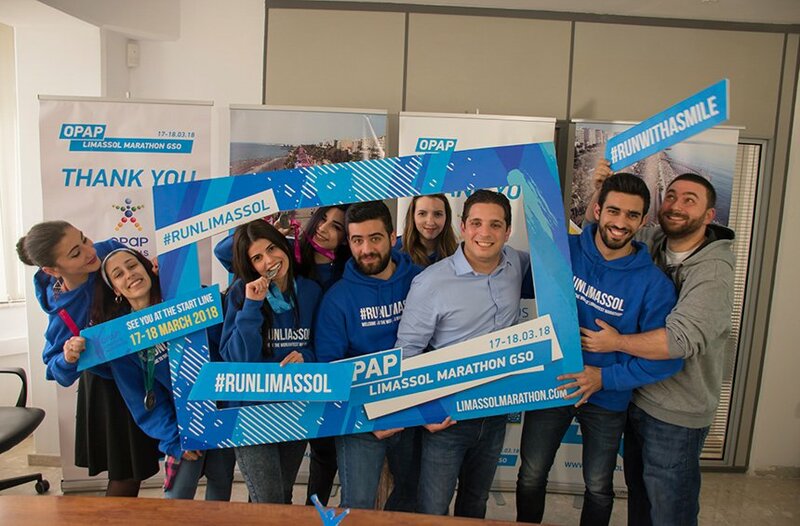 Even though that effort didn’t succeed 100%, other things emerged through those ideas, such as the Marathon, as well as All About Limassol, which, in an organized, integrated and systematic way, highlights in a highly professional manner the unique advantages of our city. Even the big projects, the Limassol Marina, the motorways, the European funds that the city has won and kept, have been achieved thanks to those who have worked to make it all right, both in the private sector and the public sector. You believe, of course, that when someone encounters resistance, at some point they will get tired and stop trying. What else would you like to see different in Limassol? At the tourism sector, although we have excellent hotels, I think we are stuck with the resort options, which is a more expensive accommodation. It would be good to have nice boutique hotels in the city, of 60 rooms for example, but without a 5-star restaurant, an impressive swimming pool, etc. This would attract young tourism, aged 28 to 35, with a good income, which they don’t want to spend on luxury. With such hotels the city will come alive, because people will move around the city, will spend in restaurants, cafes, shops, car rental, activities, etc. Even hostels are an important part of a city, although I don’t know how much Limassol wants this. They can attract tourists with a smaller budget, but they are tourists who move in the city and the countryside. Of course these should also have a quality level. “There should be an arrangement for the rents of houses where the young people, who face financial difficulties, live, not millionaires”. I would like to see an improvement to our daily life as well. The roads and the traffic do bother me a lot in Limassol. There is a problem with the parking spaces. Buildings that will accommodate many people are being built and there must be a provision for it. It’s good that this development is coming to Limassol, but infrastructures, as well as green, need to be developed. Squares and parks will benefit all of us. Why do you think there is no provision for parking, parks and green? I think it’s due to the fact that in Cyprus we haven’t learned to plan. We are good at executing, but not in managing. Who is to blame for this: ignorance, indifference or lack of expertise? All these 3 exist and certainly those in the appropriate positions have a share of the blame, too. But, eventually, everything starts from the people and what it asks, what it demands. If those who are in the decision-making centres don’t have the vision, the ability or the interest to do something right, then why are they still there? People are to blame for this. Perhaps, of course, we also focus on the wrong issues each time. Cyprus had a difficult 5-year period with the crisis, and the real estate developments have been the solution for the country’s economy. I don’t judge this because when you are in a difficult situation you have to find a way to get out of it. In my opinion, the large developments that attract people from abroad are a way for people with new ideas and initiatives to come to the city. However, there should be provisions for the quality of life of all residents in Limassol. There should also be an arrangement for the rentals of houses where millionaires don’t live, where there are young people who face financial difficulties. Growth must come with benefits for all and cover all social groups. And, eventually, it’s also a matter of culture. The people who protest and ask for things, have to take care their city, themselves. If we throw away garbage or destroy the city and its infrastructure, then how will we move forward? "I’m having fun with all my soul. I don’t think it’s bad at all. On the contrary, being able to be yourself, to relax and have fun with your friends, is an important part of everyone's life." Is Limassol a city for young people? Yes it is. It has a relaxed mood that allows young people to live and create. Even if you work all day, you have opportunities to enjoy things. There is also the sea, and perhaps is the culture of Limassolians as well, who will go out for a walk, they will drink, they will meet people. 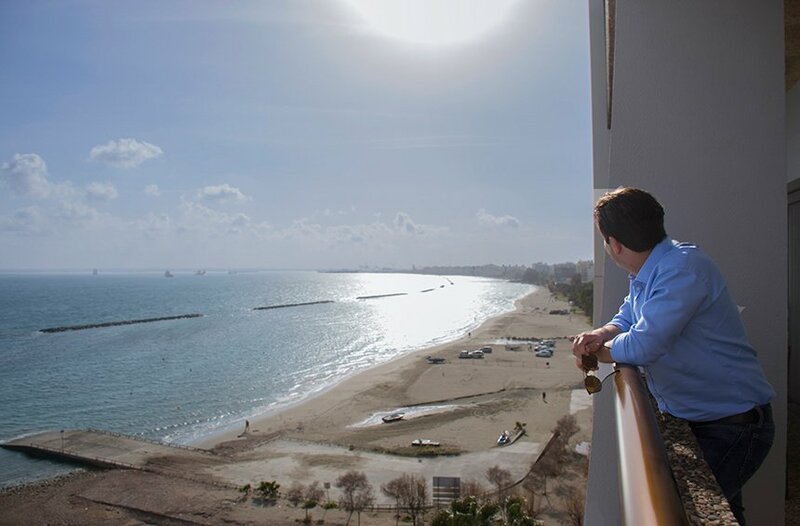 One doesn’t necessarily have to spend a lot to relax or have fun in Limassol. There are good choices for every budget. Of course, if you want to live the "dream" of the great luxury, yes, you have to pay. What about you, do you enjoy luxury? My choices are simple. Usually I go for drinks with friends at the old town. We don’t prefer the heavy clubbing anymore; we can’t stand it. We get to meet in cafes and even in houses to have fun. From the bars, I like Mason in the city centre, I like the Columbia Beach Bar as well. We may have taken this Beach Bar too seriously at first. At the beginning you could go in and think that you were in St. Tropez, but because the Limassolians are not stiff, this vibe gradually changed. Nevertheless, the setting at the Columbia Beach Bar, the whole concept, the drinks, the food, the decoration, the service, is something really special. Was the relaxed atmosphere of Limassol at risk, by the sophisticated image of luxury? Yes, there is this trend, but I don’t think the people of this city can lose their authenticity and their relaxed character. 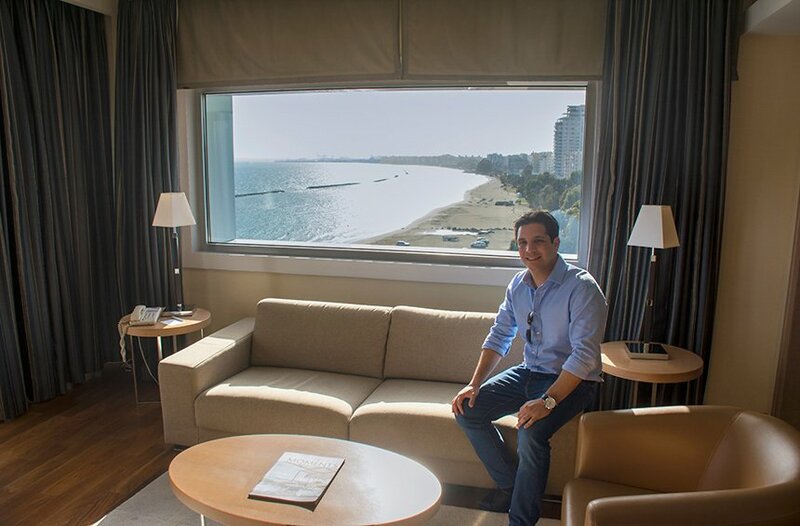 There is some kind of elitism in some places and people, there is also a fashion of showing off, but at the end of the day we are very open-hearted and easy-going in Limassol and this doesn’t change. But those who can really enjoy the luxury, don’t show off, they don’t post photos on Facebook and they are not elitists or stiff. The first time I figured out how stiff we are sometimes in Limassol, it was when I went to the first electronic music party in Barcelona and I saw everyone dancing and really having fun, not standing and looking at each other. We are also a small society, of course, and some may feel that they can’t have fun as they like while they enjoy. Do you enjoy or hold yourself back? I’m having fun with all my soul. I don’t think it’s bad at all. On the contrary, being able to be yourself, to relax and have fun with your company, is an important part of everyone's life. Especially if you work long hours and you are tired, you should make sure to have these opportunities for yourself. 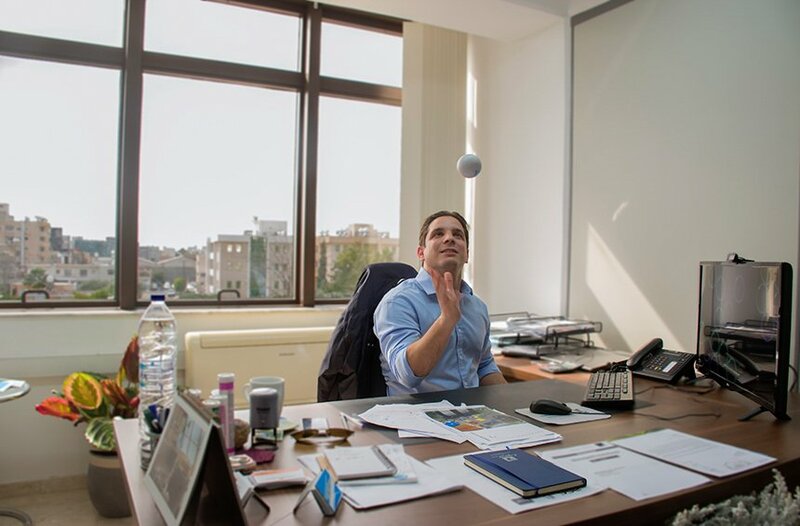 It's a matter of balance. When someone wants to have fun, it's good to relax. One may even drink a little bit more, but this is not necessarily impetuous, if he doesn’t bother third parties and if it doesn’t become dangerous. They should just get a taxi to go home instead of getting into the car and drive. At the age of 28, Andreas has been able to form a very specific view of what he asks from his life, from his daily routine in the city, from his future in it. 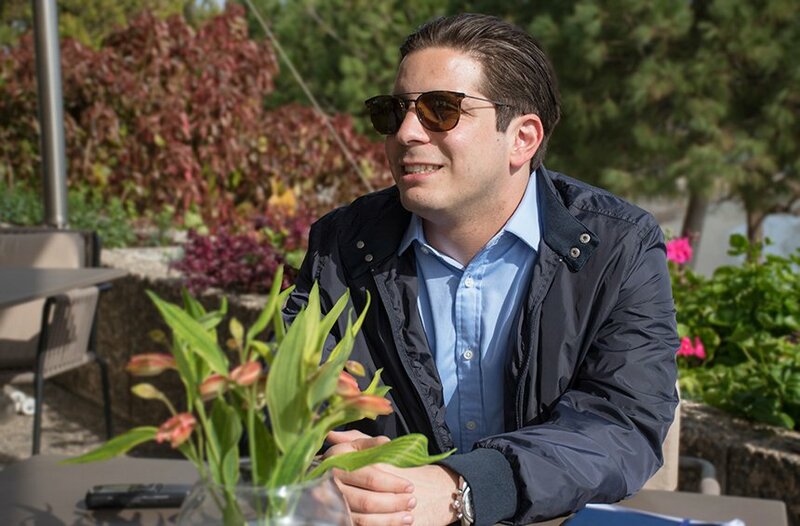 For the most of what he expects to be done, he knows that there is a need for a city with strong bonds connecting the people, focused on common goals, working and going after opportunities with the same concord that all Limassolians have fun at the city’s big celebrations together. Although he knows that the new and the different will definitely encounter resistance, he doesn’t hesitate to try and suggest things, with the tease and determination of a young man who seems ready to endure many disappointments until he sees his efforts grow. But he is confident about the new things he brings to the city and he knows that, deep down, it suits the temperament of the genuine, unpretentious and open-minded Limassolian. So, he may have found himself "into the deep" from early on, but he knows how to "swim" and he has a lot of strength, too. And to the extent that his expectations are being realized, with the people going out massively in the street and actively supporting the Marathon, with large charities implemented in the event (as he envisions it at the marathon model abroad), and Limassol showcased further more with all its advantages, these forces will probably be constantly renewed. 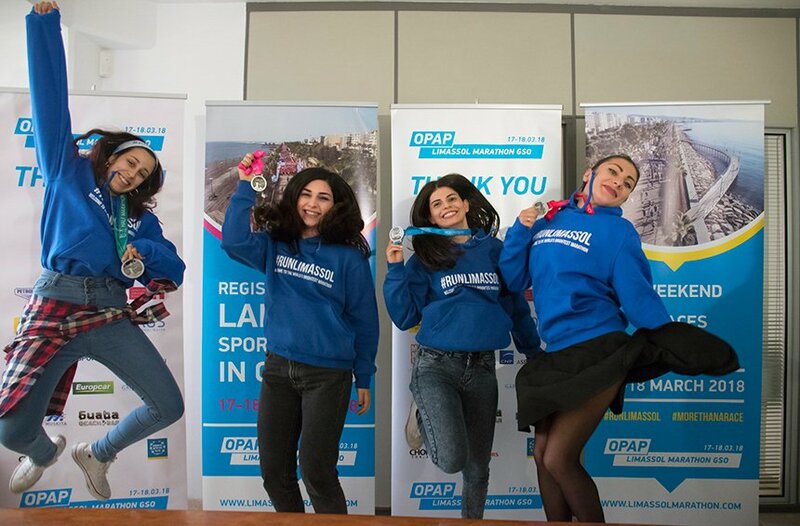 Find out more information, videos and photos about OPAP Limassol Marathon GSO here.